I was sectioned and spent a month on an acute psychiatric ward – when I was discharged and I spoke to the Psychiatrist who sectioned me about it, he apologised saying it was the only option he had. I can remember only one vaguely therapeutic exchange whilst an inpatient there, I lived on bread and jam, was told to go to bed so I didn’t inconvenence the staff and wasn’t allowed to take a shower after 8.30pm (no one could tell me why it just wasn’t allowed! And the coffee was foul! Same issues here in the States. Sue, thanks for sharing that. In some ways, I think if the in-patient stay is simply about containment and not therapeutic intervention and recovery, it is no better than a prison and in some ways a lot worse. That really does sound awful. And although I’m not terribly surprised by that, Deb, I am disappointed. I wonder why it is that psychiatric wards are able to be so much worse than some of the surgical or medical wards (although I have to say, in the hospital where I am, I’d actually much rather be on the psychiatric ward – but I accept that that seems to be an exception). Hopefully, for us in the UK anyway, some more attention and focus on this situation will lead to an improvement. I wonder if its a throwback from the age of asylums.. the wider public doesn’t have as much interest in the state of inpatient psychiatric care as they do about other wards. Maybe it’s also because there’s still a lot of fear around mental health issues in the public arena, due to a lack of open debate and information. Fear is almost always based on lack of knowledge, which fuels a lack of interest which means the spot light isn’t turned on these issues like it is in more ‘publicly acceptable’ forms of health care? Plus general apathy I suppose. I think you’re right, Chuckle. If there were more interest or knowledge in the general public (although the figures suggest that most people have or know someone with a mental illness) would lead to faster action. And some of the newspaper reporting around mental illness doesn’t really help to quash any of the fears. I think the 150% etc bed occupancy rate does lead to longer inpatient stays and repeated admissions. People are not able to go home for a night and ‘test the water’ anymore before then trying a weekend etc because their bed won’t be there when they return the next day. So people just ‘go’ and it’s too big a jump for some, even with the support of the CRHT, who are supposed to be the stop-gap for the reduction in inpatient beds. I agree with you too on, that for some patients, inpatient care is needed despite the provision of CRHTs and so shouldn’t be ruled out in favour of community care. 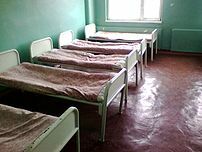 When I was first sectioned in 2002, everyone who was well enough went home for the weekend and we all returned on a Sunday night knowing our bed would still be there; you just can’t do that now. I have fond memories of those days, there was a strong sense of community and camaraderie – that’s not so much the case now and it’s quite sad. I read the article on the Guardian website when it was published and while I was nodding my head in agreement with the issues of bed occupancy I found myself sticking up for the actual state and care I receive on my acute ward. It’s excellent – it’s purpose built, and yes there are problems, but it’s a very nice environment. The nursing care and support is excellent. I feel compelled to speak up for them all!!! Thanks for the blog mention by the way! I was reading those Guardian articles in the context of having read your blog post, T&B so it was a natural follow on! I’m glad the care you’re getting is good. As I said, the ward that I usually work with is also what I would consider to be excellent and certainly the nursing staff as great.